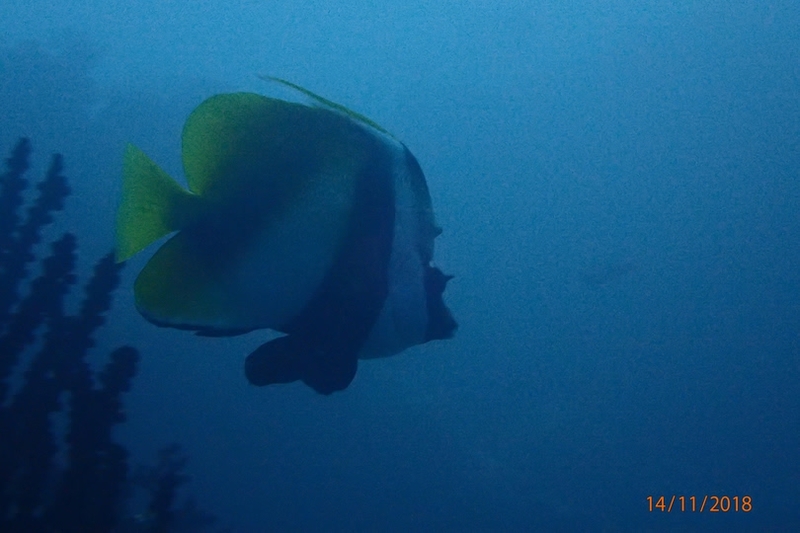 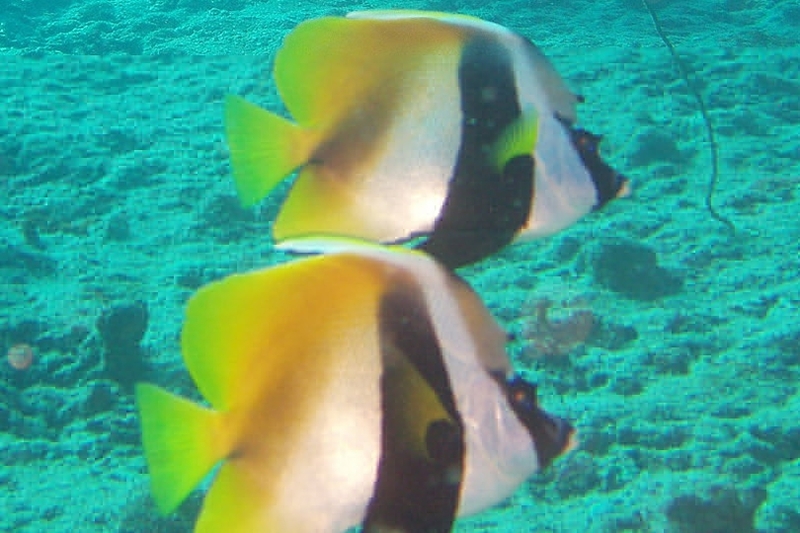 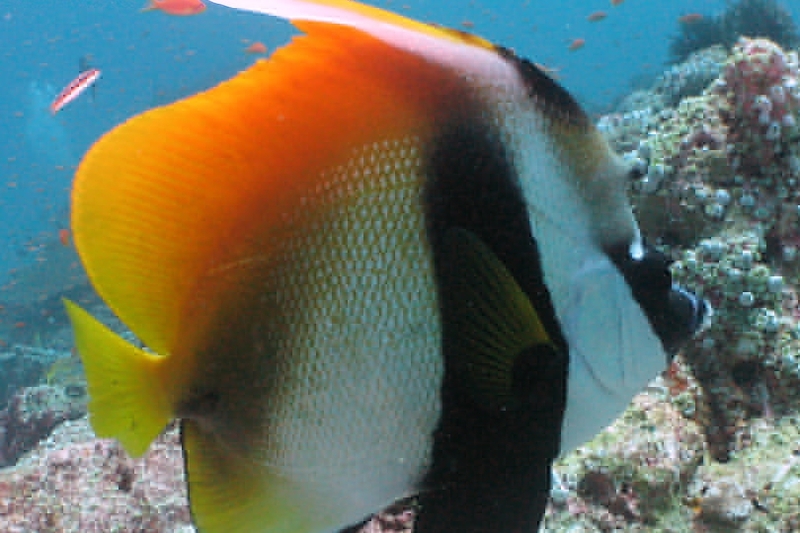 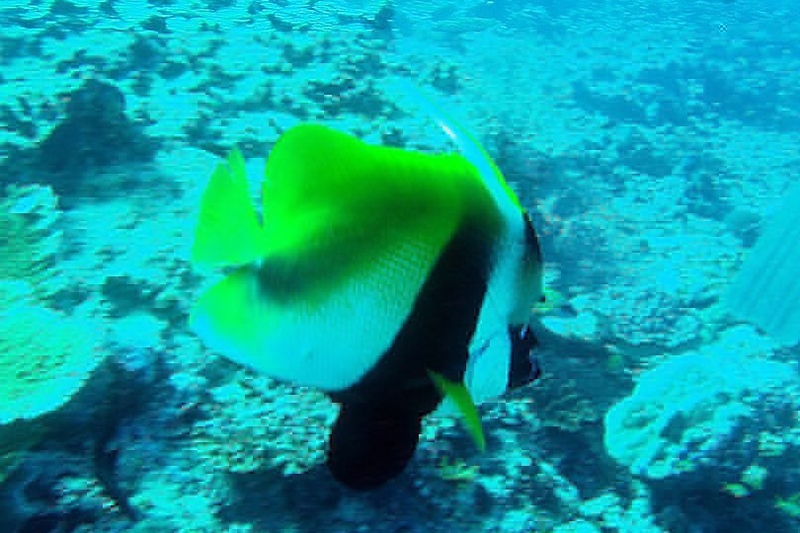 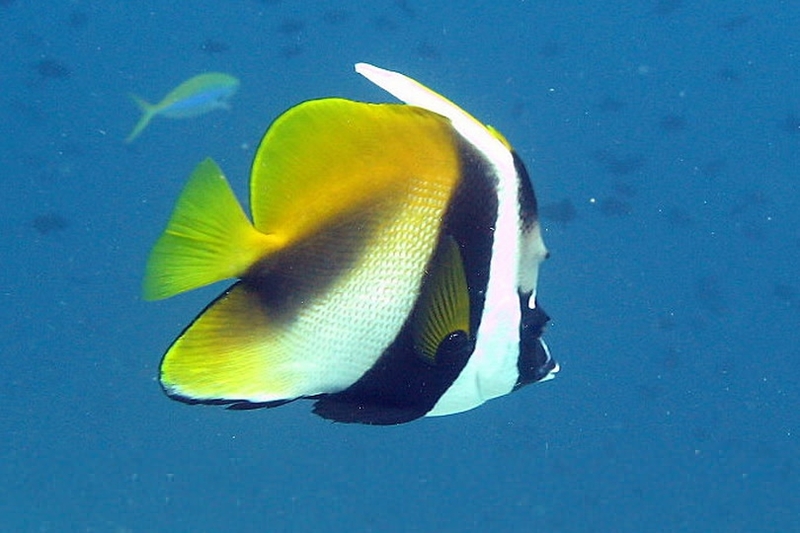 The Masked Bannerfish - Whats That Fish! 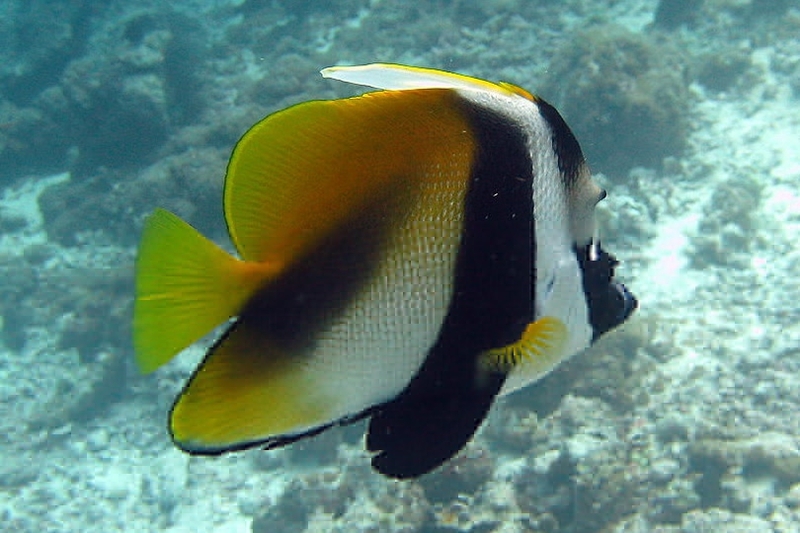 Also known as Bannerfishes, Coralfishes, Horned Coachman, Masked Coachman, Pennant Coralfish, Pennantfishes, Three-banded Bullfish, Unicorn Pennant Coralfish. 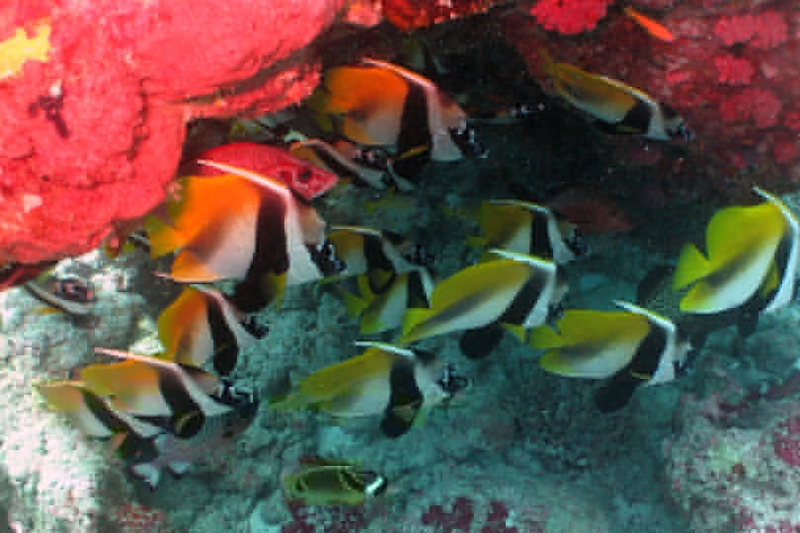 Found singly, pairs or small schools hovering close to tabular corals over lagoons and seaward reefs rich in coral growth. 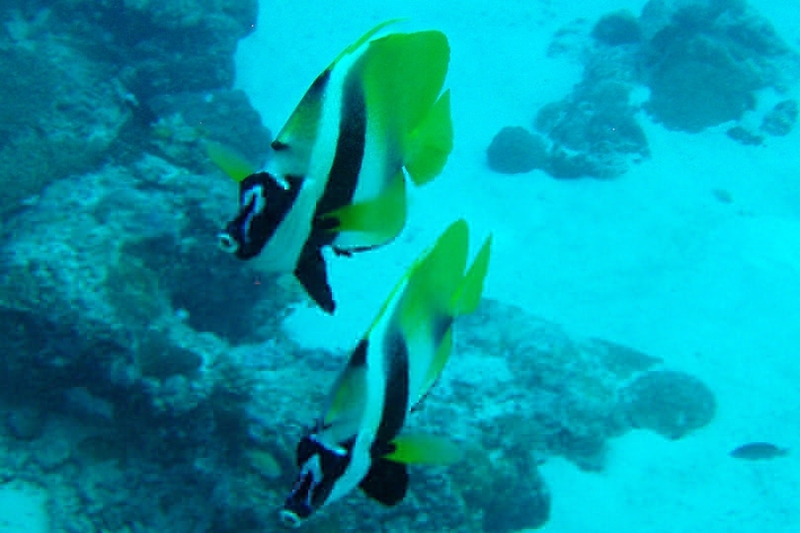 They feed on algae and a wide range of benthic invertebrates. 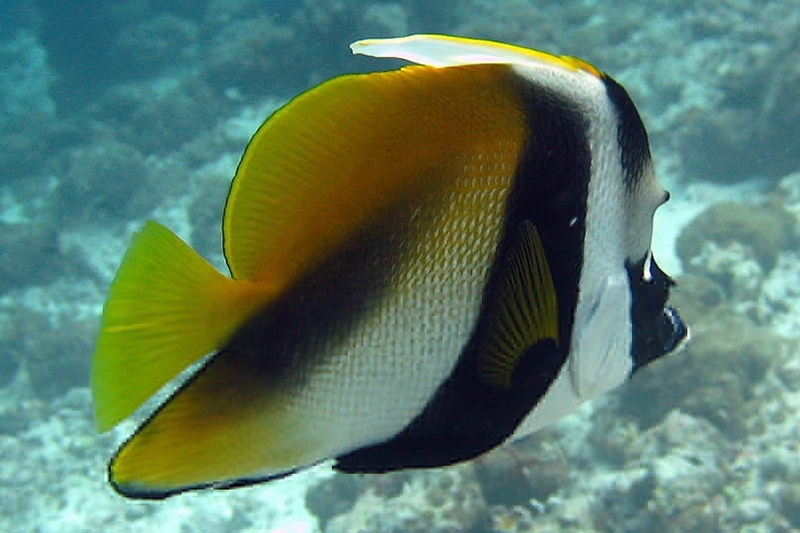 Butterflyfishes have very fine hair like teeth that enable them to pick out small organisms inaccessible to most other fish for eating.